For example, the City of New York requires that all building containing elevators have regular, certified inspections of these elevators, with reports required to be filed with the Department of Buildings. However, in many cases, building owners fail or neglect to have regular inspections performed, repairs are not completed due to cost, and elevators fall into a state of severe disrepair. This is more of a problem in the less affluent areas of New York City. There are detailed and complex elevator regulations regarding the installation, inspection, and maintenance of elevators governed by New York State building codes. Elevators can either be electric, governed by one code, or hydraulic, governed by another standard. Frequently, building owners and managing agents retain an elevator maintenance company to maintain and repair their elevators. The repairmen will either be on call, or in many instances, they are on site on a daily basis. Accidents occur due to the negligence of the building owner, managing agent, elevator maintenance company, or a combination of all three. It is necessary to retain an attorney with the requisite experience and knowledge to litigate elevator cases, who will be familiar with all the necessary items of evidence in these cases, including: all contracts between the elevator company and owners of the building; load testing records; inspection reports conducted by local municipal agencies for at least 3 years before the accident; repair and maintenance records; renovation or replacement proposals offered by the elevator company to the owners or managing agents, which will sometimes detail the specific problems and issues that the elevators have been presenting; maintenance logs; and reports of municipal agencies including the local building department for the municipality where the building is located. If you or a loved one is injured or in an accident by a defective, dangerous, or uninspected elevator, contact an experienced New York elevator injury lawyer today. It is critical that you retain attorneys who have the experience, background and knowledge to litigate your case to obtain the maximum compensation for your injuries, loss of enjoyment of life, loss of past and future income and earning potential, and medical/hospital expenses. At the Law Office of Mark A. Siesel in White Plains, New York, we have litigated countless elevator accident cases against owners, contractors and elevator companies for the last quarter century, including retaining the proper engineers, experts and witnesses, and making sure that these defendants and their insurance companies properly compensate our clients by way of settlement or litigation. 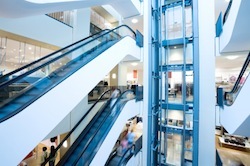 In office buildings, department stores, airports, hotels and malls, visitors to these establishments must frequently travel up and down on escalators. As with elevators, escalators must be regularly inspected and tested to ensure that they are functioning properly. The Consumer Product Safety Commission estimates that roughly 10,000 people a year suffer injuries after escalator accidents, with many of these victims being children. If you, a loved one or friend suffers an injury while riding, entering or exiting an escalator, contact the New York escalator lawyers at the Law Office of Mark A. Siesel at (914) 428-7386 or fill out our online form for an immediate evaluation of your case. Escalator accidents occur despite the fact that escalators (as with elevators) must be maintained in accordance with New York State building codes and regulations, and must be regularly inspected. Clothing, and in particular, rubber or soft shoes being pulled into the “recess area"
Loss of consortium and inability to perform activities of daily living. If you’ve suffered serious injuries due to an escalator accident, the experienced lawyers at the Law Office Of Mark A. Siesel are here to help. We have a quarter century of experience and provide personal and devoted attention to your case. Call our office at 1. (914) 428-7386 or fill out our online form for an immediate evaluation of your case.